LITTLE ROCK – Deer hunting with a muzzleloader in Arkansas offers a chance to harvest a deer earlier than any other method other than archery. This year’s season opens Saturday, Oct. 20, in nearly every deer zone in Arkansas and will continue through Oct. 28. Brad Carner, the chief of wildlife management for the Arkansas Game and Fish Commission, plans to be in the public hunting woods Saturday with his 12-year-old son like many mentors passing down the knowledge and excitement of deer hunting. “Growing up in northeast Arkansas, the season framework for the deer zone and the WMAs up there required for modern gun season that you use a shotgun with slugs or a muzzleloader, so I started out using a muzzleloader there for the modern gun season and I’ve used one for 25 years,” Carner said. The muzzleloading season has become tradition for the Carner family, he said. Carner’s son has hunted with a muzzleloader for the last 3 years and took his first deer with the gun at age 9. Carner’s wife, who “has harvested three or four deer,” he said, took her first buck during a muzzleloader season. 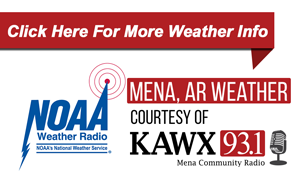 Ralph Meeker, the AGFC’s deer program coordinator, says this week’s spate of wet cold weather should set up for a fine weekend for the muzzleloading enthusiast and may attract more hunters than usual. Like Carner, Meeker plans to be out among the other deer hunters with a muzzleloader this weekend. Both Meeker and Carner note the technological advances in muzzleloaders in the past decade that have led to guns with an average range of 75-100 yards, but which can stretch out comfortably for some shooters to 150 yards or more. Hunting with a bow, Meeker says, usually means you’re targeting a deer 25-35 yards away. Carner suggests a newcomer familiarize himself or herself with the firearm and all its components, and not just the powder needed and type of bullet to use, before opening morning. 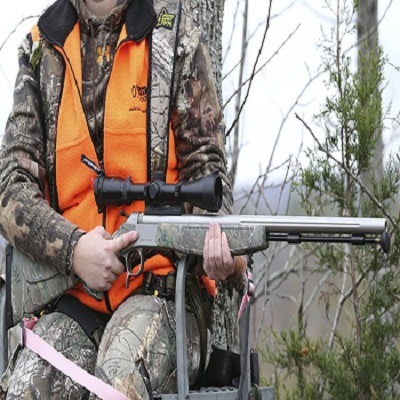 “Practice and know the effective range of your muzzleloader,” he said.Carner lives in central Arkansas now but often will return to where he grew up hunting deer with a muzzleloader, in northeast Arkansas. As wildlife division chief, Carner says, he likes to visit as many WMAs as he can during the hunting seasons. Meeker says that the first weekend of muzzleloader season usually sees an average of 7,000 to 9,000 deer harvested, and about 25,000 to 30,000 taken with a muzzleloader annually, or about 13 percent of the total deer harvest. Compare that to the expected 35,000 on average that Arkansas hunters take the opening weekend of modern gun deer season. Refer to the Arkansas Hunting Guidebook at www.agfc.com/huntingguidebook for various deer zone regulations concerning muzzleloader use and harvest limits. The number of deer allowed per hunter with muzzleloaders can vary by location. Deer zones 4, 4B, 5 and 5B are closed completely during the muzzleloader season, but muzzleloaders may be used during their modern gun seasons.